This interview featuring vexillologist Ted Kaye was first published in Vice Magazine. Mr Kay has been following developments on the Fijian flag closely from his home in the Portland, Oregon, U.S.A. He is the Editor of Raven: A Journal of Vexillology, the official publication of the North American Vexillological Association, for 17 years and author of flag design guide Good Flag, Bad Flag, Kaye has consulted on many flag change initiatives around the world. Most countries find a flag they like and stick with it. Not Fiji. In February, the island nation announced it was in the market for a fresh new logo and will be holding a contest to find it. The competition will be open to all residents until May 1, after which a citizens’ panel chaired by Iliese Delana, the nation’s sole Olympic gold medalist (for the Paralympic high-jump in 2012) will come up with a shortlist. That list will then be opened to the public for comment, after which a final design will be nominated by the cabinet for consideration during the national parliament’s July sitting. The new flag should be ready to fly nationwide on October 10 for the country’s 45th independence anniversary. The concept of a flag change in Fiji has been in the air for years, but Prime Minister Voreqe “Frank” Bainimarama made it official in February. He argued that the current flag, which features a British Union Jack in the upper left-hand corner and a crest with the English lion and cross of St. George, is more a relic of the nation’s colonial past than representative of the present character and future trajectory of the independent nation (which isn’t part of the British Commonwealth any more). He also hopes to use a new flag to help unify Fiji’s divided native majority and sizeable Indo-Fijian minority and many other factions. To figure out what Fijians should keep in mind during the national contest, VICE turned to vexillologist (or “flag expert”) Ted Kaye. Editor of Raven: A Journal of Vexillology, the official publication of the North American Vexillological Association, for 17 years and author of flag design guide Good Flag, Bad Flag, Kaye has consulted on many flag change initiatives around the world. It turns out he’s freakishly well versed in Fijian (and Canadian, Mozambiquan, and Ukrainian) flag issues to boot. VICE: What do you think of the current Fijian flag? Should it be replaced? Ted Kaye: The current Fijian flag is one of four national flags that have the Union Jack in the upper left-hand corner. The others are Tuvalu, Australia, and New Zealand. All of those are relics of the British colonial past and most of the other countries that had flags with that design have changed them. The notable one for us in the United States is Canada, which changed its flag that had a Union Jack in the corner 50 years ago this month. The Fijian flag has a light blue background, however, which is very distinct among national flags and perhaps very representative of a South Pacific island nation. VICE: Mr Bainimarama has apparently referred to that as “Fiji Blue” and said he’d like to see the color retained if possible, but other Fijians say that they’re attached to the Union Jack and the British-influenced crest on the flag. They say these are their symbols now. What do you make of that? Ted Kaye: It’s a common refrain heard when a flag change is proposed: that people like the old flag, not necessarily because of the inherent characteristic of that old flag, but because that’s the flag they’re familiar with and that’s the flag that’s represented them. That said, the distinctive aspect of Fiji’s flag is its color. That’s an attribute of the flag that Fiji could retain as it designs a new one 45 years after independence. VICE: Keeping Fijian Blue is one thing, but what else should contestants keep in mind when designing a new flag for Fiji? – Keep it simple. The flag should be so simple that a child can draw it from memory. – Use meaningful symbolism. The flag’s images or its colors or the patterns on it should refer to what it symbolizes. – Use just two to three basic colors. Limit the number of colors and use colors that come from the standard flag color set. – Don’t put any lettering or seals on the flag. Seals, even parts of coats of arms, really don’t belong on a flag that’s meant to be seen from a distance and fluttering and from both sides. – Be distinctive to other flags. That’s a problem today with Australia and New Zealand, whose flags are very similar and often confused. A flag could be similar to other flags to show relationships. For example, there are lots of flags in the South Pacific that have light blue on them or that have stars that represent island clusters or items like that. If Fiji looked at its neighbors’ flags and asked, ‘how can my flag show that I’m part of that neighboring community?’ that would be a positive piece of its design even though it’s trying to be distinctive at the same time. VICE: By those standards, the current Fijian flag fails by using the Union Jack and including a crest, right? Ted Kaye: Yes, it’s not simple because the shield is quite complex. It has more than two-to-three colors. The symbolism is meaningful for Fiji’s history, but it’s not distinctive in the sense that there are many flags that have the Union Jack in the upper left-hand corner and a shield in the fly. As I said, there are four national flags, but a number of other historic flags and certainly two provinces of Canada and many current colonies of Great Britain have that design as well. VICE: And if other South Pacific countries use light blue as well, then Fijian blue isn’t enough to make a flag distinctive, is it? Not just the color [alone]. Ted Kaye: Should the government consider anything else when judging designs? I think they’re exactly the same principles that the government should use to judge the flags. Simplicity is by far the most important consideration because it not only means that the flag is likely to be more attractive, but it’s going to be less expensive to make in all sizes. Only a simple flag is identifiable at a distance and a simple flag works at a small-scale, like a lapel pin. VICE: What are the best and worst national flags that Fijians can use for mental reference in sketching new designs? Keep in mind that Fijians have to consider their multi-cultural composition, Pacific roots, history, and the idea of a new Fijian identity going forward. Ted Kaye: Yes, Fiji should consider that it is a multi-cultural, multi-ethnic island nation with a lot of history. However it does not need to put all of that onto its flag. In fact it should not try to represent all of that in its flag. The opposite is true. It should simply assure that no single ethnic group is represented to the exclusion of others. 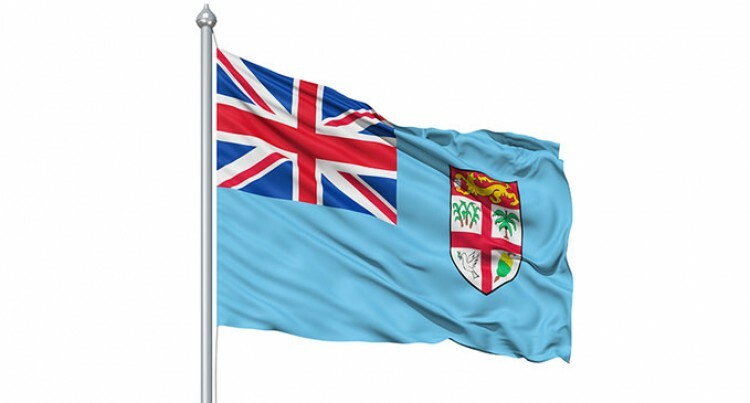 In fact, that’s a problem with the current flag because [it] represents the British heritage of Fiji to the exclusion of the other ethnic groups. A good example would be Canada. A big debate in the flag design change there in 1964-5 was removing the Union Jack and finding a way to have a flag that would also represent the French minority in Canada. They were looking at blue bars, blue and white and red, and finding ways to have symbols that would represent each of the ethnic groups in Canada. Instead, and very successfully, it chose a single symbol, the maple leaf, that represented all of Canada. North Americans tend to think that a flag is a symbol placed on a background. They don’t understand like Europeans do that the way a flag’s field is divided (bars, stripes, angles, triangles, other shapes) can carry symbolism as much as a specific image does on a flag and that colors on a flag are as symbolic as a specific image might be. I would list Mozambique as probably the flag to avoid the most. It not only has five colors on it (red, white, green, yellow, and black), but it depicts a scythe and an AK-47. That’s not really what you want to have on your flag. [It’s] pretty hard to depict and hard to make and [it] could be simplified either by taking off the offensive weaponry or simplifying the [symbolism]. VICE: What do you think of going the route of the Nepali flag and using an irregular shape for distinctiveness? Ted Kaye: It gets you points for recognizability and is a poor idea otherwise. The Nepali flag is difficult to manufacture and is therefore more expensive. It is also the odd man out in international flag displays, at the Untied Nations for example. It’s very difficult to fly the Nepali flag in a size and proportions that make it consistent with the other flags that are displayed. VICE: Any other thoughts on the Fijian flag switch? Ted Kaye: I’m delighted that Fiji is revamping its flag and will find a way to have a wonderful design for its country as it celebrates its 45th anniversary. A great country deserves a great flag.